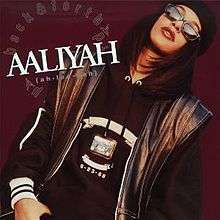 "Back & Forth" is the debut single performed by singer Aaliyah for her debut studio album Age Ain't Nothing but a Number. The song was written and produced by R&B singer R. Kelly, and chronicles a teenage girl's excitement to celebrate the weekend by going to a party and having fun with her friends. The music video for the song was shot in her hometown of Detroit and features Aaliyah and Kelly performing in a gym with her real-life friends from high school. Kelly performs the rap in the song. The song was released as the album's lead single in early 1994 (see 1994 in music). It sold 700,000 copies domestically, earning a gold certification from the RIAA on June 9, 1994. It spent three weeks at number-one on the U.S. Billboard Hot R&B Songs chart, and peaked at number 5 on the Billboard Hot 100, becoming her first single to hit the top-ten. The single was ranked second on the year-end chart of Hot R&B/Hip Hop Songs. The single also went top-ten in Canada. These are the formats and track listings of major single-releases of "Back & Forth". The music video for "Back & Forth" was directed by Millicent Shelton. "Back & Forth" was filmed in February 1994 as Aaliyah's first music video. It opens with a male entering a (school) gym, bouncing a basketball. When the song kicks in, there are cuts of people entering the gym and people playing basketball. Aaliyah enters wearing baggy clothing, a bandana and shades. She sings the song by the gym's entrance. In other parts of the clip she is seen dancing in the middle of the gymnasium with a crowd moving around her, sitting with R. Kelly in the bleachers and performing on a stage to her fans. The original setting was chosen for the music video in Los Angeles, but was relocated to her hometown of Detroit because of an earthquake. ↑ "A Parent's Guide to Pop Music". Retrieved 31 August 2016. ↑ "The top 10 best Aaliyah songs". Retrieved 31 August 2016. ↑ "American certifications – Aaliyah – Forth". Recording Industry Association of America. ↑ "Rock On The Net: Billboard Year-End Chart-Toppers: 1994". Retrieved 31 August 2016. ↑ "Chart Data: Aaliyah". Mariah Charts. Archived from the original on 17 September 2007. Retrieved 2007-08-22. ↑ "allmusic: Aaliyah-Charts & Awards-Billboard Singles". Allmusic. Retrieved 2007-08-22. 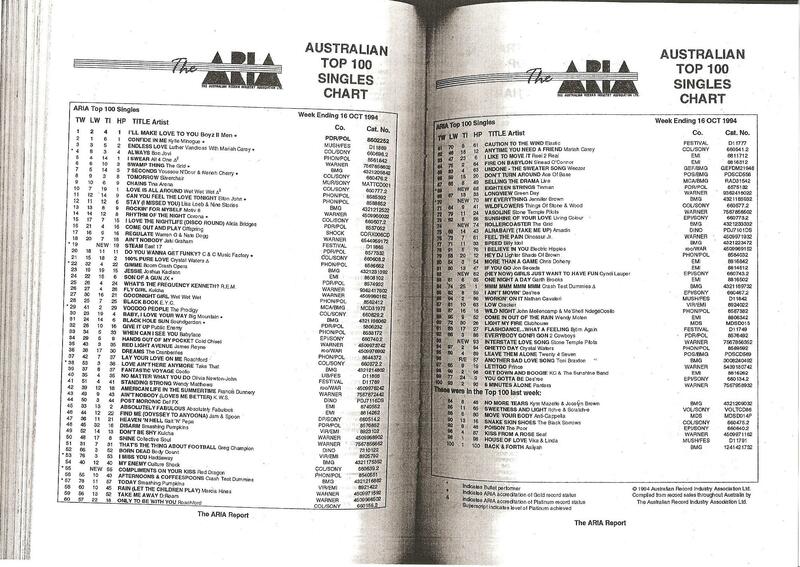 ↑ "The ARIA Australian Top 100 Singles Chart - Week Ending 16 Oct 1994". ARIA. Retrieved 2016-02-11. ↑ "DOCOMO OSAKAN HOT 100｜CHART［YEARLY CHART］". Retrieved 31 August 2016. ↑ "Aaliyah – Chart history" Billboard Hot 100 for Aaliyah. ↑ "Billboard Top 100 - 1994". Archived from the original on 2009-03-01. Retrieved 2010-08-27. ↑ "R&B Rap Hip-Hop Year-End Charts - 1994 - Soul System". Retrieved 31 August 2016.